I have had to do lots of sewing lately for a couple of new arrivals. One is a baby girl that one of my oldest and dearest friends is adopting. The blanket is reversible with a quilting cotton (dots) on one side and flannel (owls) on the other. The blanket is my own creation. The contoured reversible burp cloths are from a tutorial I found on Pinterest and you can find it here. The changing pad is one I've done before. It's a Bernina pattern. You can find that tutorial here. 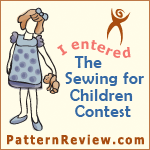 I used the same quilting cotton as in the blanket and a chanille fabric for the inside. I like these because it will hold a small container of wipes and a couple of diapers. I found the plastic wipe container at our local dollar store. I found the ribbon and a tutorial on the pacifier clip at The Ribbon Retreat, but I kind of did my own thing with it. These are just a few things I've made for our newest little girl. I have several other projects in the works. Again the blanket is reversible with quilting cotton (triangles) and flannel (dots). The navy fabric is so cute for a boy, don't you think? Here is the same changing pad. The burps are two different styles, because I ran out of the triangle fabric and had to do some smaller ones. There is one large contoured and two smaller double contoured. You can find that tute here. And there you have it. I've have been a bit busy lately with baby sewing and loving every minute! I have a few custom orders to get through before I can get back to baby sewing. I have several things on deck for Miss Lila. Please feel free to ask questions or post comments below.